Featuring intricate designs and new charms, the beautiful new Inner Spirit collection by ChloBo is a celebration of empowerment. 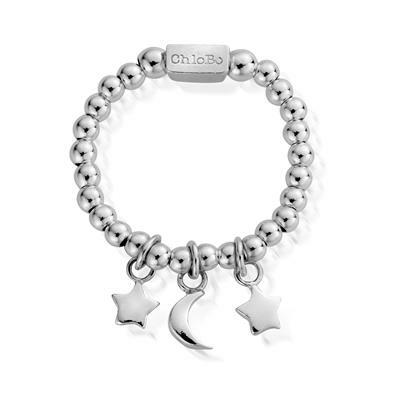 This ring by ChloBo is made from 925 Sterling Silver and features a sun, moon and star charn. Start or add to your ChloBo collection with this beautiful ring.